The small fire station on Qualtrough Rd. celebrates 40 years of service protecting the north west part of the Penfield Fire District community. Station 2's construction was started in 1972 to provide fire protection for the Atlantic Ave and Browncroft Blvd area where neighborhoods were popping up at a rapid rate. 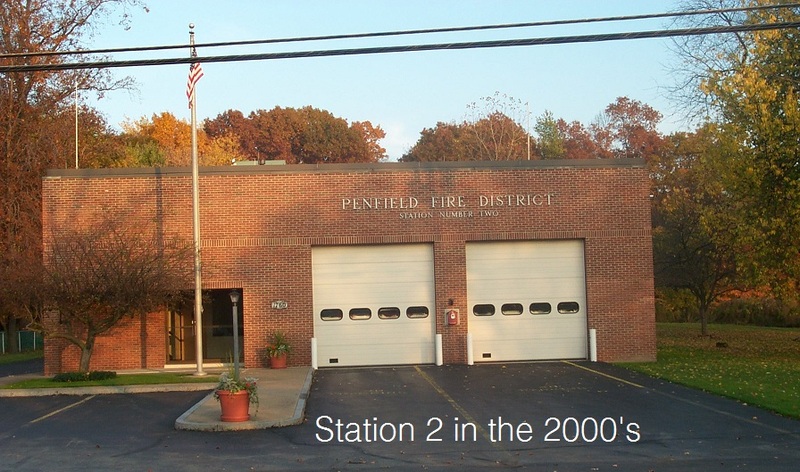 Prior to station 2, north west Penfield residences would have to rely on fire protection coming all the way from the 4 corners. 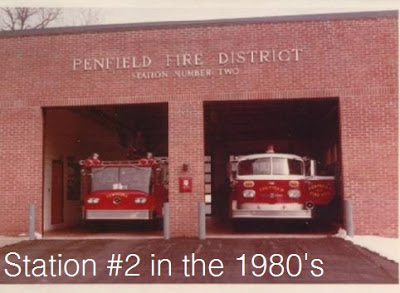 Obviously traffic was much lighter back in the 70's but it was still a long haul for the trucks to respond from the Penfield Rd & Five Mile Line area. 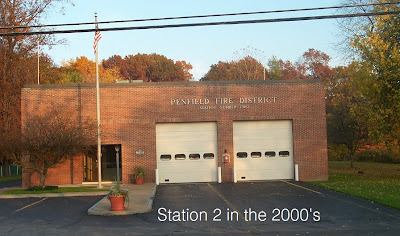 The fire district purchased a 100ft x 200ft lot of land from the school district for 1 dollar and built the station which hasn't changed much since then. The station officially went into service January 27th 1973. Just minutes after the trucks were backed in they caught there first run to Panorama Plaza for a car fire. Since it's opening in 1973 the station has had its share of trucks cycle through its door. 6 separate engines over 30 years (1973 - 2003) served as front line pieces of equipment here. As times have changed and demands on the fire service have grown a ladder company was put into service in 2003 retiring the engine company. For the last 10 years a ladder company has been the front line piece of equipment responding to emergencies out of Station 2. As the changes have take place over time volunteers to this day still call this building a second home just like they did when it opened 40 years ago.